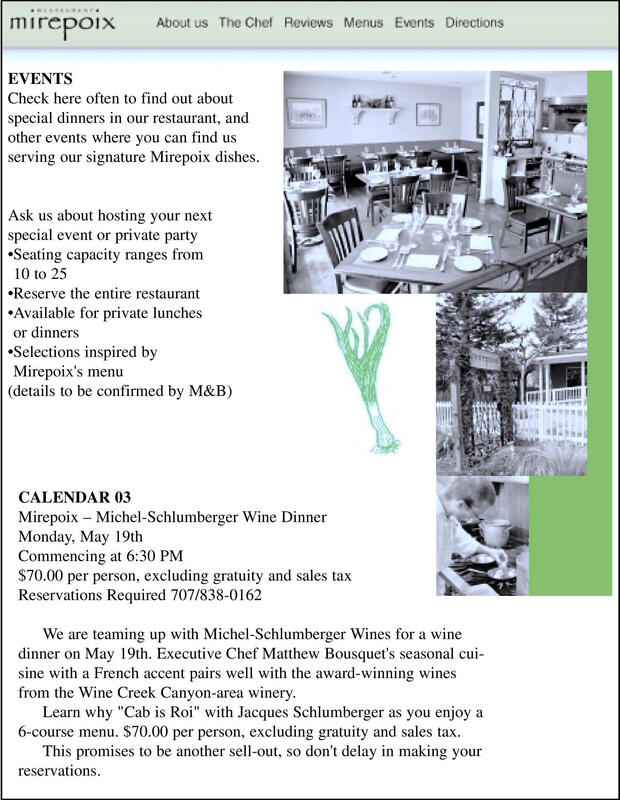 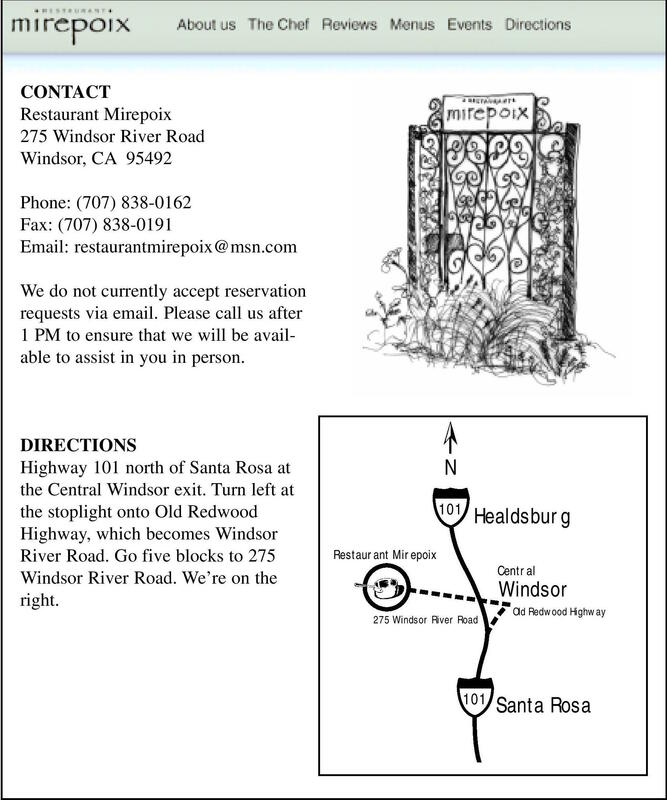 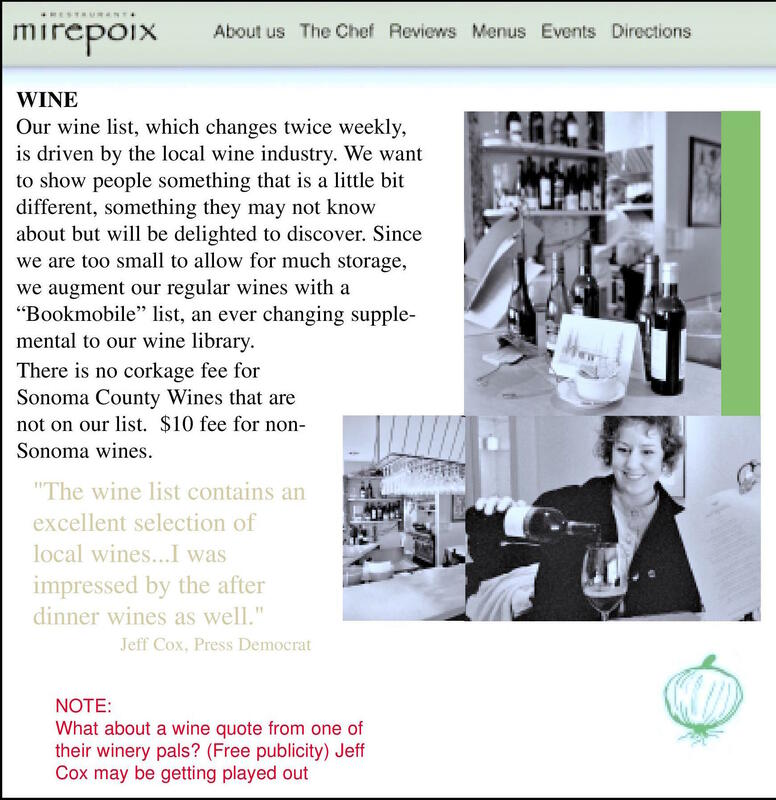 EvansPR was contracted to promote this charming wine country restaurant soon after it opened in Windsor, CA. 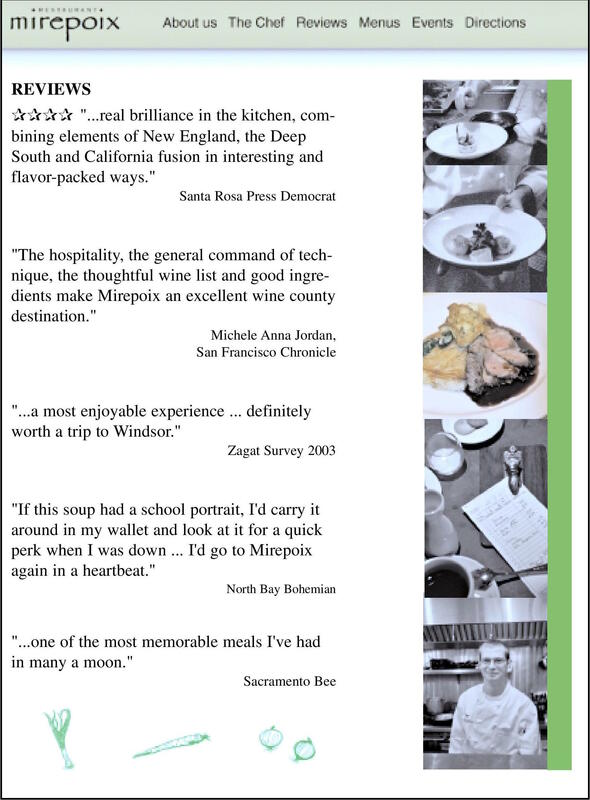 In addition to garnering rave reviews from food media, generating neighborhood awareness, developing and promoting events, Phyllis supervised the development and launch of the website. 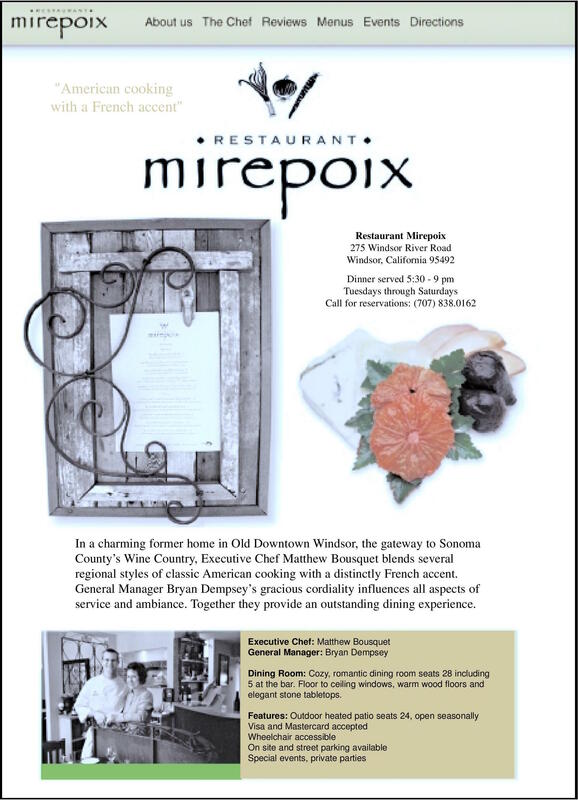 The cozy and romantic restaurant is owned and operated by a husband and wife team who feature fresh, seasonal food, often procured from the local farmers markets and paired with local Sonoma County wines. 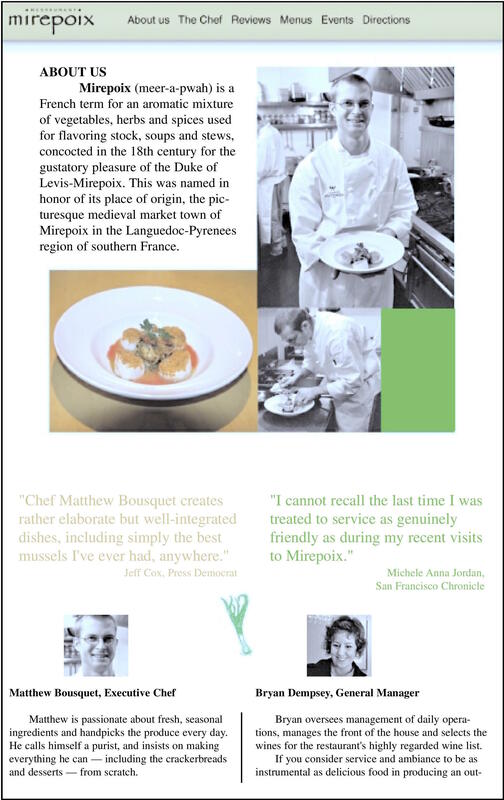 The highlight for chef Matthew Bousquet was an invitation to cook at the James Beard House in New York. 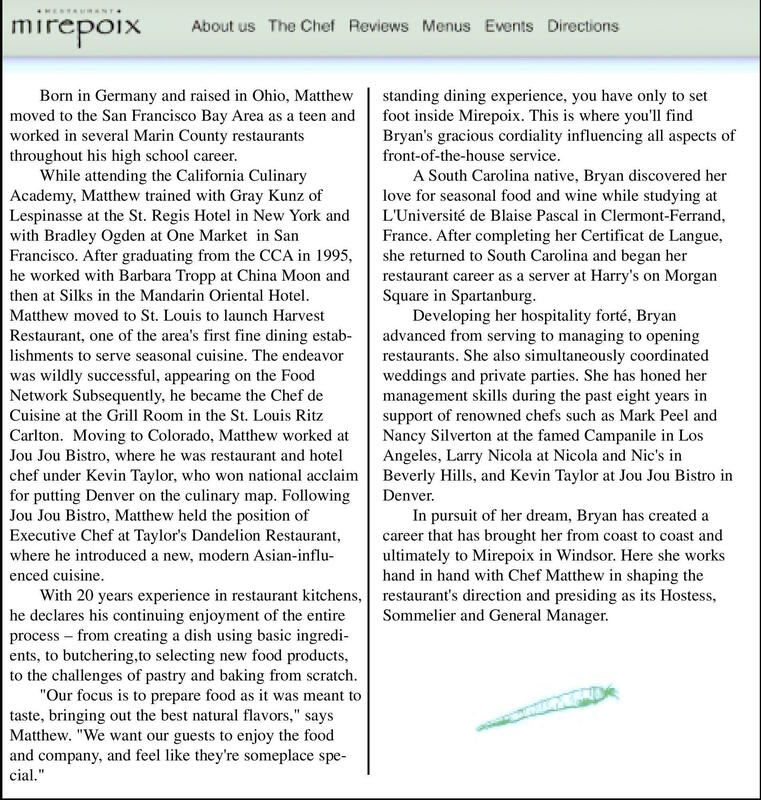 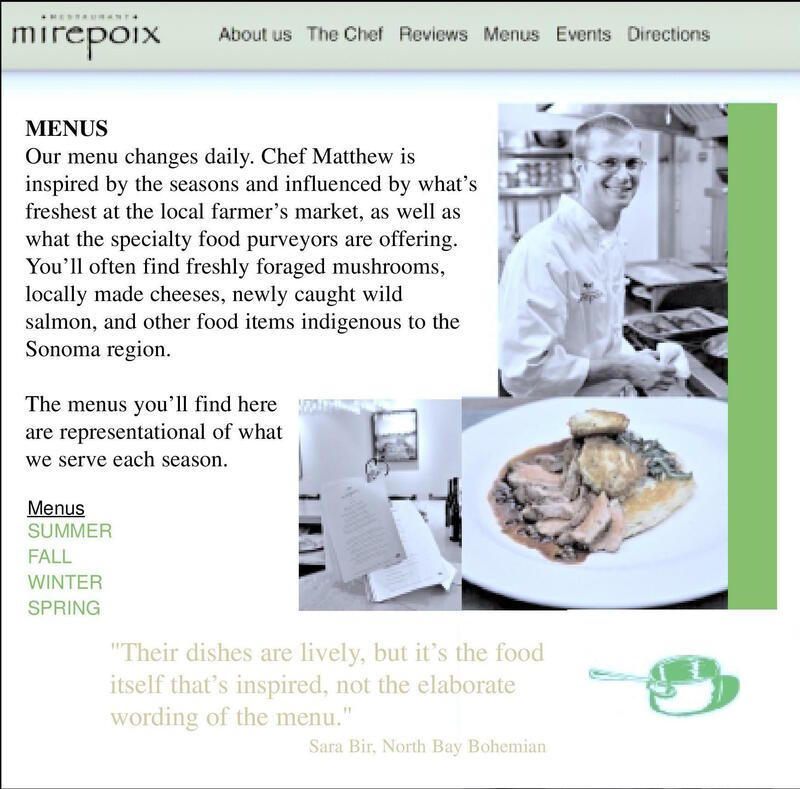 The website posted here is a draft which includes their bios, menus, photos, events, and reviews.